A proof of the superiority of European cinema. With "Ulysses' Gaze", Theo Angelopoulos proves that he is one of the most influential figures in contemporary cinema. This film explores the idea of how people must go through their personal Odyssey to reach their destination with an unbelievable poetic quality. By exploring the idea of this journey, Angelopoulos shows how much he is influenced by the poems of Nobel prize-winning Greek poet George Seferis. 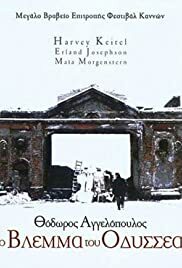 The atmosphere of the film is admittedly extraordinary, aided by the terrific cinematography of Giorgos Arvanitis, Angelopoulos' collaborator since "Reconstruction" (1972). But the incredibly dense philosophical context of the film does not stop there, as Angelopoulos depicts the tumultuous history of twentieth-century Balkans with extreme precision and artistry. 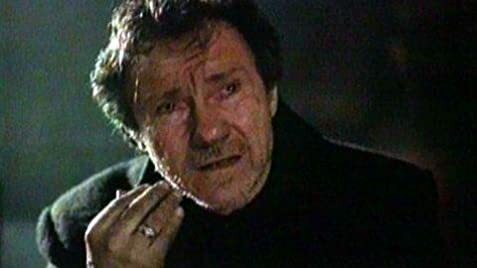 Harvey Keitel gave the best performance of his career, even managing to speak a few sentences in Greek without sounding too awkward. Maia Morgenstern (as symbols for Penelope, Nausikaa, Circe and Calypso in her multiple roles) and Erland Josephson are also quite good, while Thanassis Vengos gives a tragi-comic note to the film, with his performance as the taxi driver. The fact that I am Greek (and therefore I am familiar with the political situation and able to identify with events better) admittedly played a major part in my interpretation of "Ulysses' Gaze" and non-Balkan viewers may find it difficult to identify with the film. However, the idea of the journey is universal and it is a pity that Angelopoulos is often dismissed by most Greeks as being too "difficult".